The Central Pacific Costa Rica beaches are a short drive away from the capital city of San Jose and the country’s metropolitan Central Valley. In fact, these Central Pacific destinations tend to attract a large number of visitors. Central Pacific Coast – Surfing and National Parks. 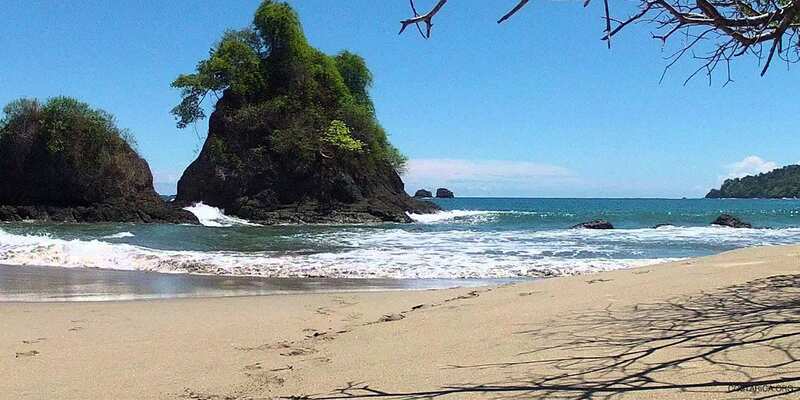 Costa Rica Pacific Side beaches also a short drive away from the capital city, San Jose. Central Pacific destinations tend to attract a large number of visitors. If you are looking for fun beaches, you may like Jaco. Costa Rica’s central Pacific is home to protected beaches, like those found in Manuel Antonio National Park. The Pacific Coast of Costa Rica is the coastal areas closest to the country’s densely populated Central Valley. Attracting a large local crowd that loves to watch their soccer and also has a good time. Jaco is a popular party, and surfing beach and Herradura has its marina. Manuel Antonio Beach too is famous for being the nicest beach in Central America. Across the Nicoya Gulf, there’s Tambor Beach, Montezuma Beach, Cabo Blanco Beach. Also the surfing beaches of Mal Pais, Santa Teresa, and Hermosa de Cobano, among others. The life zone in this area transitions from dry to humid forests and the dry season tends to start a month later than in Guanacaste. Really so much to do in Costa Rica.